Storing cosmetic items can be quite a hassle in college. You don't really have a designated place to keep your cosmetics stored and set up. When you were at home, you probably had those dorm items displayed on your dresser or at a separate table. However, when you're in college, you'll find you need your dorm dresser for other dorm essentials such as your TV or iPod dock. You don't need to toss your cosmetics wherever you have extra space in your dorm dresser or desk drawers. 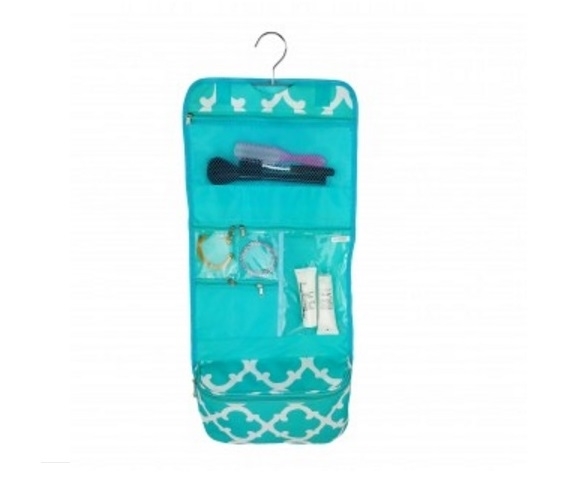 Keep your cosmetics organized in a dorm storage solution such as our Quatrefoil Aqua - Cosmetic Bag. 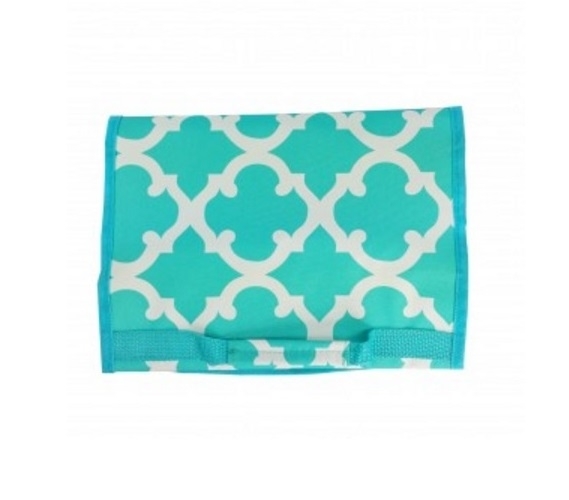 Our Quatrefoil Aqua - Cosmetic Bag has a bright, pretty aqua and white pattern that will be a fun pop of color in the morning. This dorm essentials item will allow you to store your cosmetics without losing dorm room storage space. 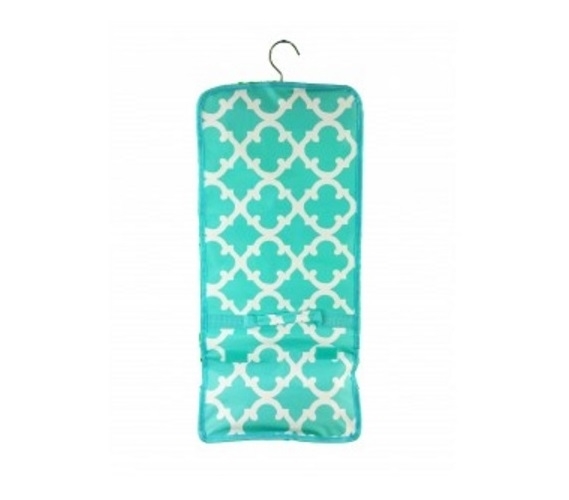 Our Quatrefoil Aqua - Cosmetic Bag has a hook to hang up in your dorm closet and when you are visiting your friends or family on the weekend this dorm item can be easily folded up for convenient transport. With 7 zippered pockets, you can keep all of your cosmetics organized and separated which will make your morning routine a lot easier!